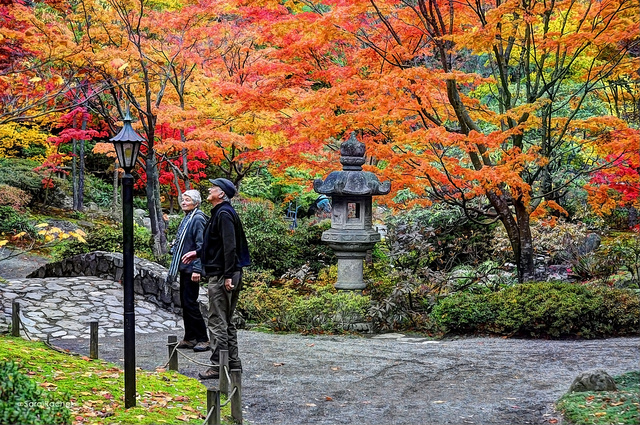 Japanese gardens reflect the changing seasons. They do this more than other styles of gardens. Using nature as a model for a garden means a more subdued summer in terms of color. 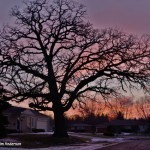 It does however show off the beauty of spring and fall. 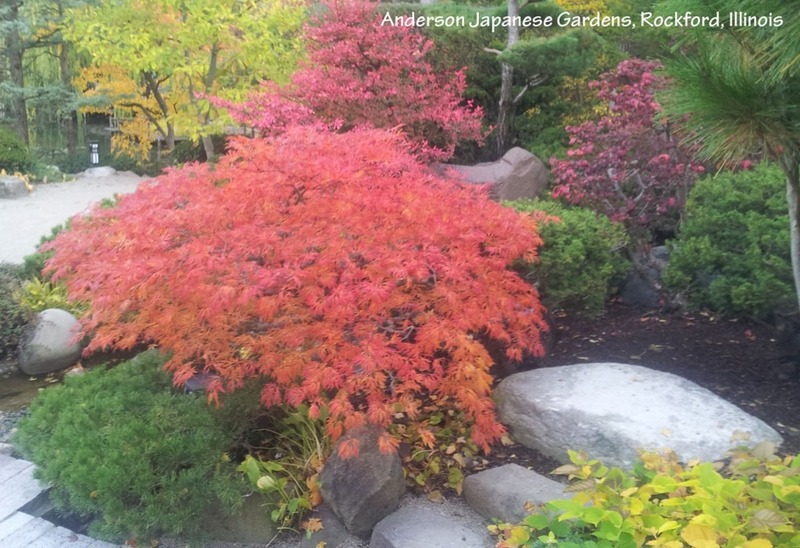 Today, I write about Japanese Garden fall color. 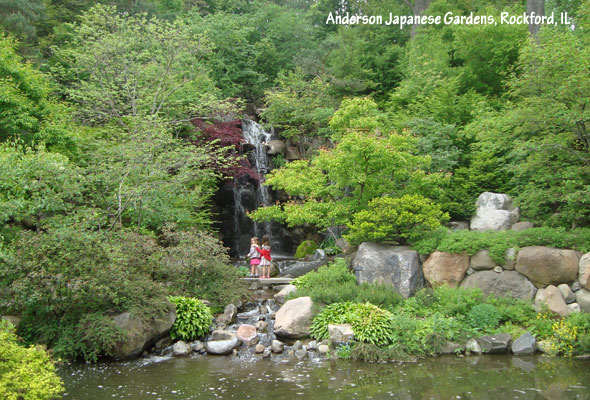 Even without a lot of flowers, Japanese gardens can be beautiful in the summer. 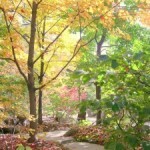 Before I began working at the garden in 2005, fall was my favorite season. Since then, our long our winters have made me favor the spring. I mean come on, four to five months of winter. Really?! Still, Japanese garden fall color is probably one of the most spectacular features you can see in any garden. Of all the areas in the garden I work at, the large waterfall tops the list for spectacular. What is an attractive scene in the summer months explodes into a parade of colors in the fall. What makes this scene is the range of colors that plants turn. This includes oranges from serviceberry, reds from burning bush, yellows from witch hazels, etc. Note the varying shades of the green such as yews and hosta. These as well as the tans and grey of the boulders play a large role in making this scene. The small waterfall in the oldest part of the garden is one of my favorite areas. Much of it is evergreen through its pines, birds nest spruce, etc. 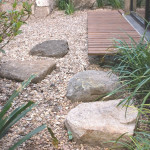 It also has shades of grey in the boulders and gravel paths. It does however have some spectacular individual plants that light up the scene in fall. One of my favorite plants in this area is the green cascade maple. During the summer months it is a mound of green foliage, but turns into a brilliant orange that most sugar maples would envy in the fall. Which plant makes the scene at the coin basin? If you visit my garden late in a fall afternoon you need to visit the coin basin area. Here there is a Dancing peacock Japanese maple (Acer japonicum ‘Aconitifolium’) that turns an amazing red fall color. In late afternoon, the light shines through the red leaves to light up the area. This is hard to photograph, but wonderful to experience. Everything from the boulders to the skin on your arms has a warm red glow. The Dancing Peacock Japanese maple (Acer japonicum ‘Aconitifolium’) lights up the coin basin area during the late afternoon hours in the fall. This picture does NOT do it justice. 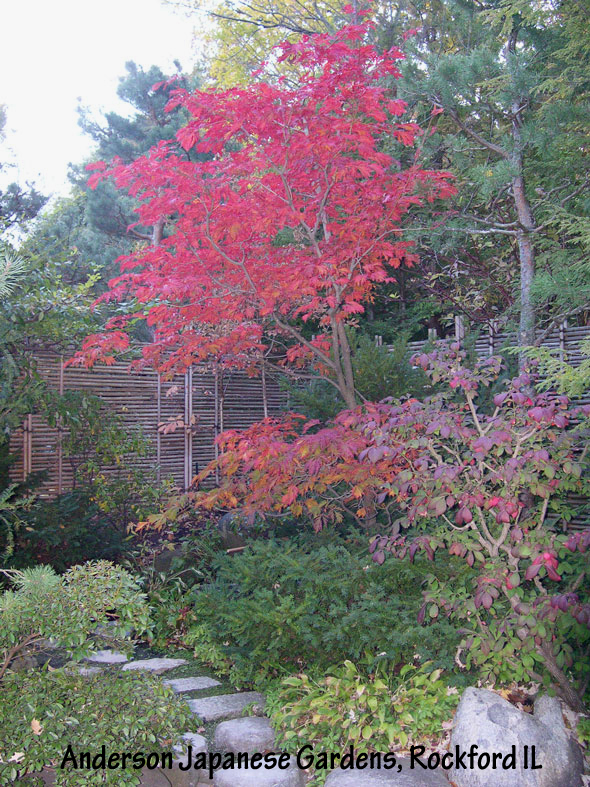 Next time, I will write about my favorite Japanese garden fall color spot. 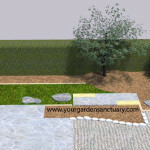 I will also explain why it is special and give you ideas you can use in your garden design. Be sure not to miss this one by subscribing below. I just found your page while searching. 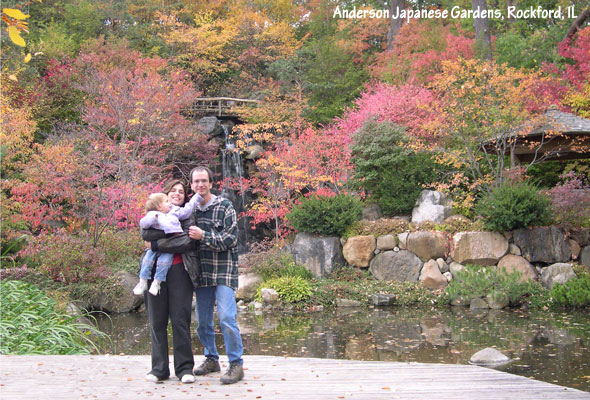 I fell in love with Japanese gardens two houses ago and learned with each garden I created. I recently moved to a new house with a small fenced yard and can’t wait till spring to get started planting trees and creating a new garden.